The Allpa Travel Pack is a rugged, 35-liter backpack system built for adventure travel. This pack is perfectly sized for carry-on convenience, loaded with well-designed features, and tough enough to handle years of use. Both the Allpa System come with accessories to customize your travel pack, including mesh laundry bags, a nylon shoe bag, and a snap-on mesh water bottle sleeve for easily organized, minimalist packing. Cotopaxi has spent a great deal of time rethinking the travel backpack and it clearly shows, in all the features, which is why we included it on our list of the best travel backpacks. Highly functional and modern in design, BE created a versatile pack that conforms to your lifestyle -- whether heading to the crag, traveling the globe, or dawn patrolling a surf session, The Tahquitz pack has our covered. “As a community of climbers, surfers, runners and every other activity on the list, we are bound together by our need to get out. Our lifestyle is our own, and we need approachable gear ready for those moments when we need to get out the door quick.” The Tahquitz has been my back of choice for everyday use and travel, I can fit so much in this bad that I find myself traveling with just the Tahquitz on my back, which is why I’ve included it on our list of the best travel backpacks. “Introducing a comfortable and durable backpack that feels as much at home in the streets as it does in the mountains. With ski straps and a removable waist strap, take it anywhere and everywhere in comfort and style.” This is Drew’s go to bag for travel, everyday and ski touring. plain and simple he loves it! When he got it I was jealous to say the least. It’s made super well and is incredibly functional. Designed and created by Jon Olsson - pro skier and professional traveler you can tell every part was thought through. One of the most veristle travel backpacks out there. 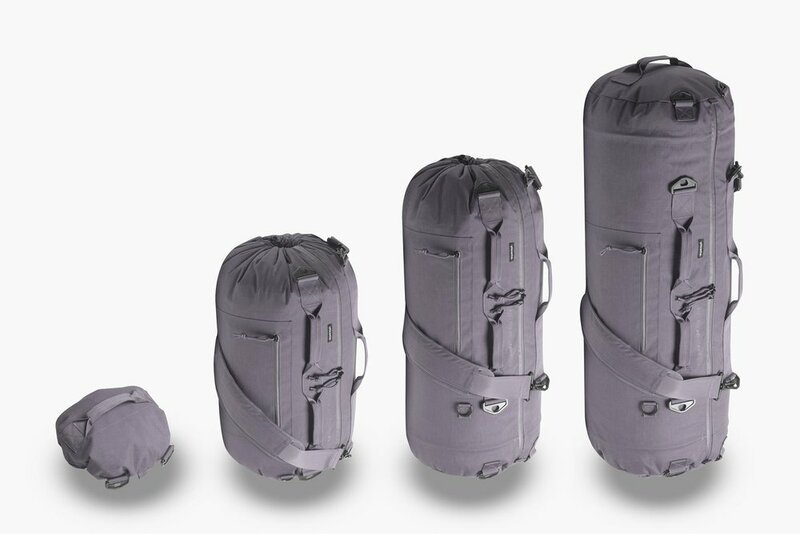 The Adjustable Bag can transition between 31L, 46.5L, and a 62L capacity… Mind blown! The adjustableness of this bag is exactly it’s on our list of the best travel backpacks. The different sizes allow it to be you day, weekend, or travel bag all in one. There's never been a bag with so much versatility. The Adjustable Bag can also be completely collapsed into a small ball so that you can easily store it or take it with you wherever you go. Two backpacks in one, ODD has created an interchangeable backpack system. They designed The Bandit to be the perfect commute companion, whether on the bike or train, to the office or the gym. The clamshell design makes it easy to organize everything you need for the day. The second bag, the Sidestep is the ultimate day hiker pack. Designed as a lightweight trail solution, the 420D DWR fabric is both durable and weather resistant. A 3-in-1 system, the RōM Pack is a backpack you can fully transform into either a wearable poncho with a hood or a blanket that’s soft on one side and water resistant on the other. Without a doubt one of the most unique travel backpacks on the market. We had the chance to check out this backpack at summer Outdoor Retailer and we really liked it. RōM has a number of really unique, quality made products. Super durable travel backpack, great for holding all your belongings. This backpack and also double as your weights for your workouts while on the go. Traveling a lot can make it difficult to stay in shape, the Nomad, can help. 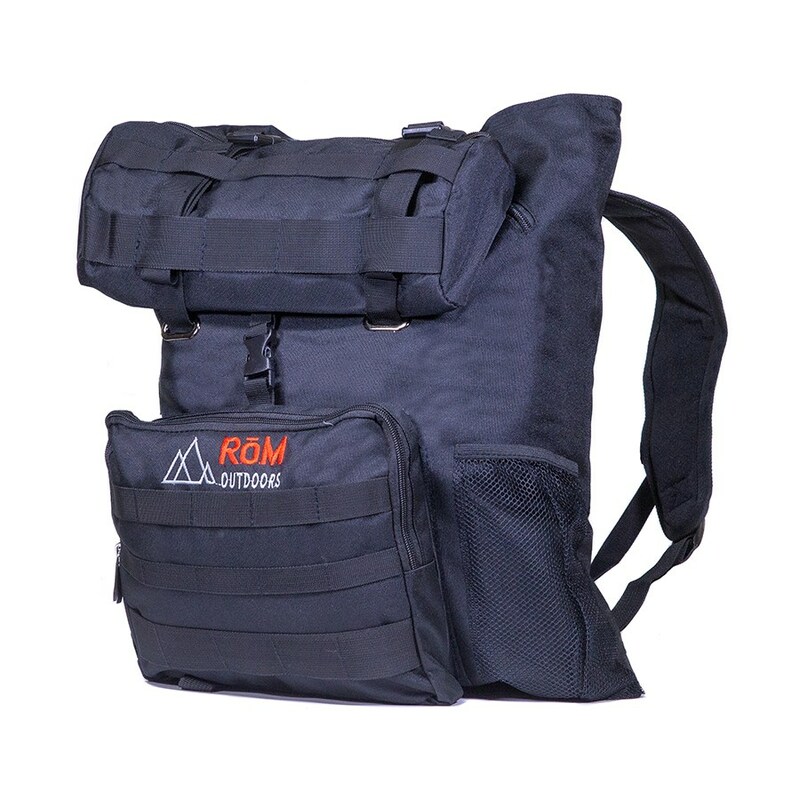 Made from Military Grade 1000D Cordura, durable Nylon Webbing, reinforced and double backed at every strap, this bag will never let you down. The Wanaka Adventure Pack and Adapt Adventure System are all integrated to create one of the best travel backpacks. This 24L Adapt daypack comes with an integrated camera case/cooler and adventure sling/hip pack. For traveling, it packs small into a self-contained pocket or can function like a compression sack to save you packing space. When it's time to adventure, you can blow up the pack's inflatable frame so it distributes weight like it should. Its dynamic design provides functions such as a fanny pack, adventure sling, camera case, cooler, and more. Rolling suitcases aren’t up to the demands of city travel, and hiking backpacks are disorganized. An ideal travel backpack combines the best features of both: the ergonomics and portability of a backpack with the obsessive organization and easy packing of a suitcase. You have an organized place for everything in the Outbreaker Backpack. Feel free to overpack, because it will feel comfortable no matter how much you’re carrying. The Breaker One Bag is a travel backpack, a weekend warrior pack, an everyday commuter pack, a hiking pack or just about anything else you can think up. It's an extremely versatile pack that has all the features, pockets and compartments you need for all your stuff. They recently finished a successful Kickstarter campaign for the One Bag and it will be shipping soon. 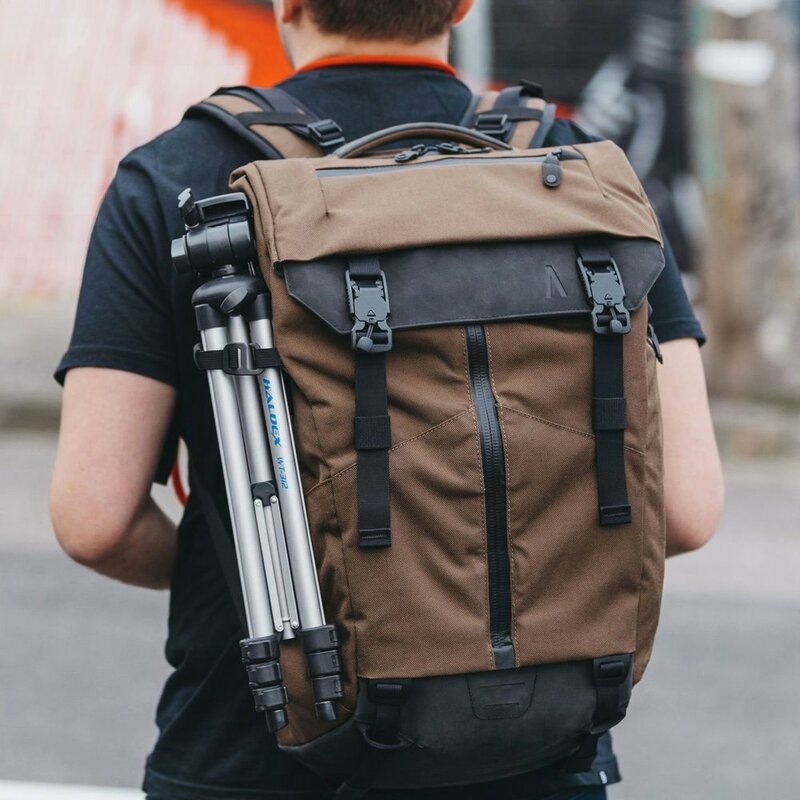 If you are in the market for a travel backpack, I would definitely suggest checking out the Breaker One. 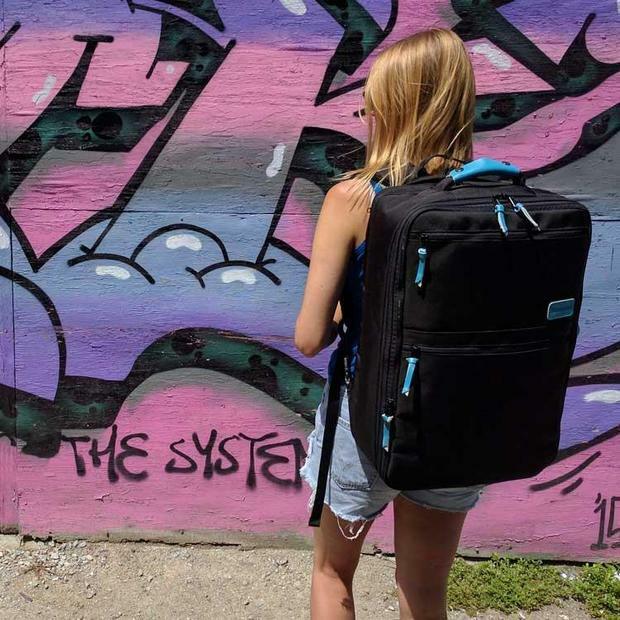 Slicks is a multifunctional, convertible and modularly designed travel backpack. Every bundle contains clever and useful accessories. Designed to meet the requirements of your life on the go. Take your Slicks on the plane as hand luggage and fly thousands of miles. Slicks is an ideal companion for your business and private life. Check it out and you will see exactly why it’s on our list of best travel backpacks. The Standard Travel backpack is a 3-in-1 travel backpack, suitcase, and shoulder bag. Designed with concealable backpack straps, compartment dividers, and easy-to-carry handles. This backpack is great companion to give you confidence on any journey and one of the best travel backpacks. It comes with an expandable capacity of 35 – 45L. The luggage and laptop compartments are separate. Our carry-on is here to help you save you time and money without the need to check your bag at the airport. The Prima System's adaptable storage and dynamic modular components make life more comfortable by providing a simple carry solution when commuting and traveling. The Prima Backpack, Verge Case and Fieldspace provide unbeatable organization and its adaptable modular features provide extra stowage when you need it most. Unique magnetic trims, YKK Stormguard® zippers and high-performance fabrics provide worry free storage and effortless access. The Y Travel Backpack is made for traveller’s going off track where suitcase wheels are not welcome. Its ultra durable water-resistant material makes it a perfect companion in pretty much every situation. The rectangle shape fits most of airline carry-on requirements (22cm x 38cm x 54cm) and ensures to hold everything you need for a week or longer. At Y we like to keep it simple. You will find only one small front pocket, one large main compartment, one convenient laptop pocket and one side bottle pocket. Two handy compression straps will maintain the backpack structure and can also be used to hold stuff from outside whether it is shoes, parka or skateboard. The whole backpack comes with no branding in a black matte finish. Less is more. 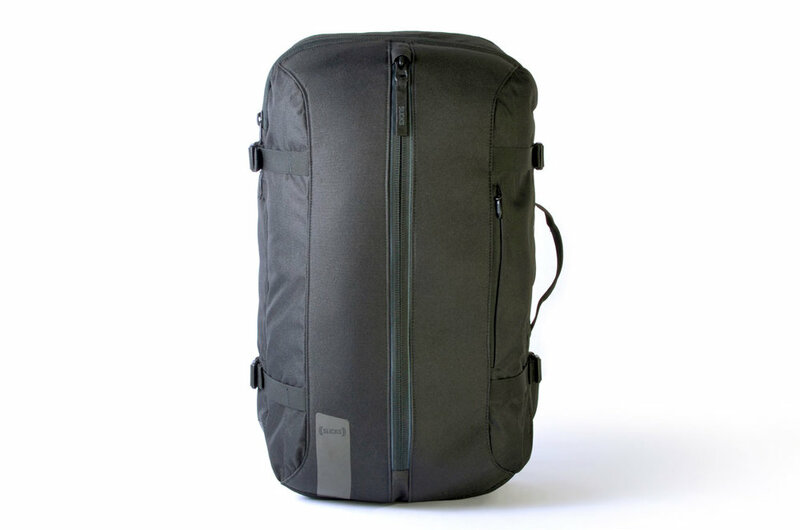 The HEXAD Access Duffel has been featured in Carryology, Bless This Stuff, and Digital Trends. This duffel bag backpack features a clamshell opening giving you complete access to 3 organizational compartments inside the bag. Whether you are using it for travel, photography, or hauling gear for the afternoon, this is the ideal duffel bag for when you need more organization. This concludes our list of the best travel backpacks, we hope that you found a few that meet your needs. If you liked this list and you’d like to discover other lesser known brands/startups in the outdoor industry and gain discounts on their products then check out the ReddyYeti Membership. You can also hear the stories of many of these startups from the voices of the founders on the ReddyYeti Podcast. Newer PostThe ReddyYeti Podcast EP: #119 Buffalo Jackson Trading Co. - Rugged & Vintage Apparel & Leather Goods. Founder Xan Hood Sharing His Story.